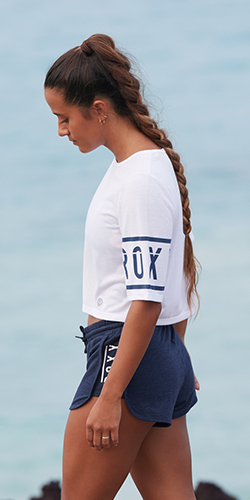 Crop bikini top for women from ROXY. Features include: large coverage top, removable padding, Strappy Me! print story, soft & resistant stretch nylon for comfort & durability and excellent shape & colour retention. ROXY™ Womens Strappy Me Crop Separate Bikini Top - Crop bikini top for women from ROXY. Features include: large coverage top, removable padding, Strappy Me! print story, soft & resistant stretch nylon for comfort & durability and excellent shape & colour retention.